Honeysuckle comes from a dam who has produced multiple champions, and we think this female cria will be another champion. She has superior luster, uniform small locks, and great conformation. 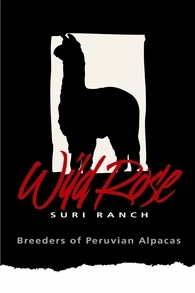 Her lineage is a blend of Accoyo, Peruvian, and Bolivian bloodlines. She is as cute as can be with her big doll eyes, and perky personality. 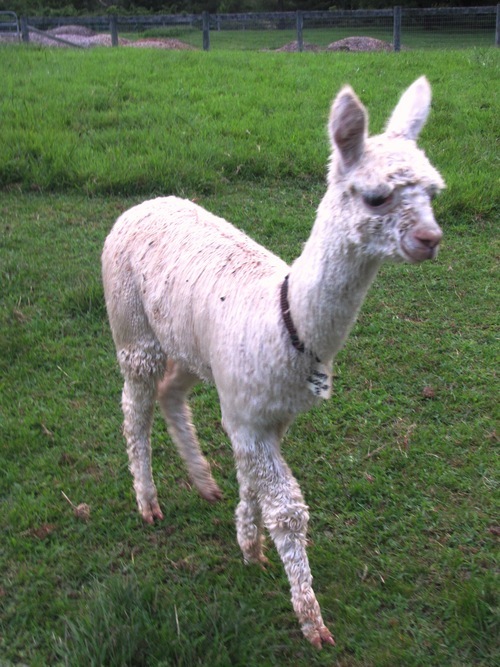 Honeysuckle is available for sale by herself or combined with her pregnant dam, Rhianna, for a discounted price on the package. 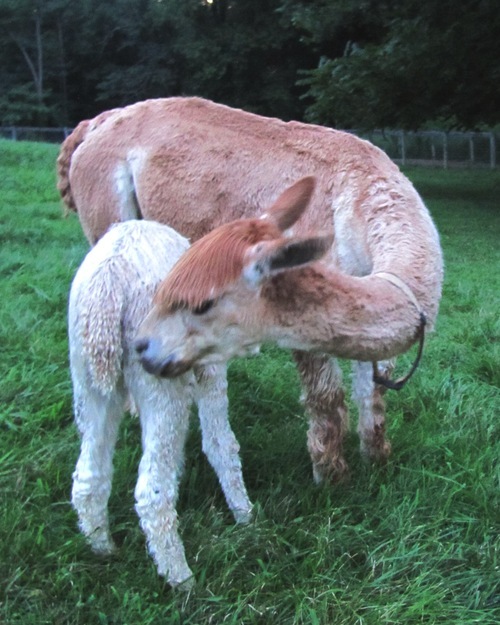 Her dam is a great producer and a great mom, and is currently bred to WRSR JackKnife by Fusion for a summer 2019 cria. 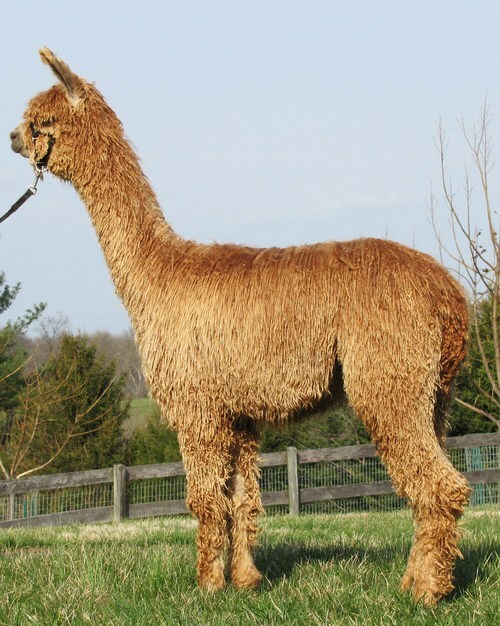 Her sire, Branagan, has won multiple championships and 2 Judge's Choice Awards for his fleece. 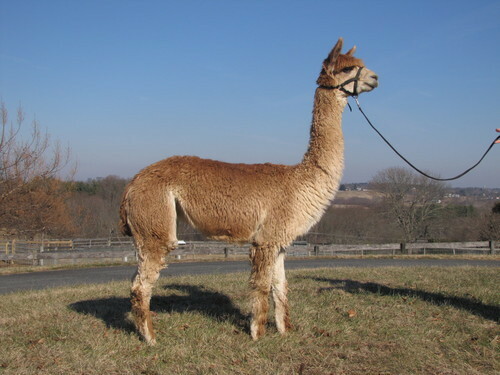 He is easy-going and good sized with great conformation. It appears that this combination of Rhianna and Branagan was a good match! For more information, contact Patti at 443-740-4240 and schedule your visit to the farm.